Because we want all campers to have a fun and relaxing experience in nature. We are a team of nature lovers who want to get people outside and enjoy Canada’s natural beauty as much as we do. 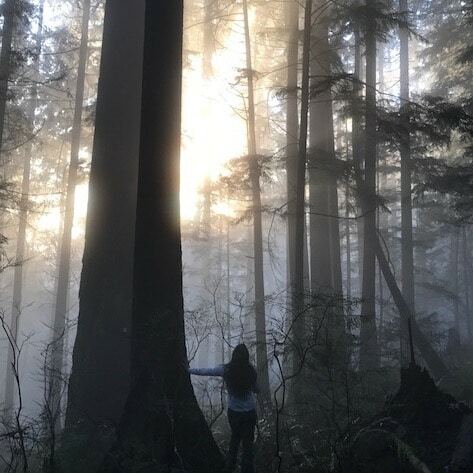 Connecting with nature keeps us physically and mentally healthy, while sustaining the environment. On a camping trip two years ago, we camped in a park and woke to the sound of cars driving by and people talking all around us. Other campers had their tents pitched just a few feet from us. From this crowded and loud experience, the idea of Campertunity was born. We want to give campers the option to camp beyond crowded parks and away from stressful bookings. With Campertunity, campers can book on private land, avoid expensive re-sales of campsites, and easily book a camping vacation. Now, we are happy to introduce Campertunity: a place where campers can find their perfect campsite. Born and raised amongst the mountains of North Vancouver, Guita still occasionally blurts out “Wow! Look at this place!” when referring to the beauty of Canada. If she had to pick between camping on a beach or camping on a mountain, Guita picks the beach. “I find the water to be calming and a good place to clear my mind.” Guita likes any kind of water sport to accompany her camping adventure. On her spare time, she can often be found in a kayak or dragon boat. Paddles up! “Let’s do this hike. It’s an easy one. It’s only 22 kilometres.” Every weekend, Nora is on a hike to her favourite lookouts and camping spots. She prefers the mountain and can pitch a tent anywhere, even between trees with a hammock tent. 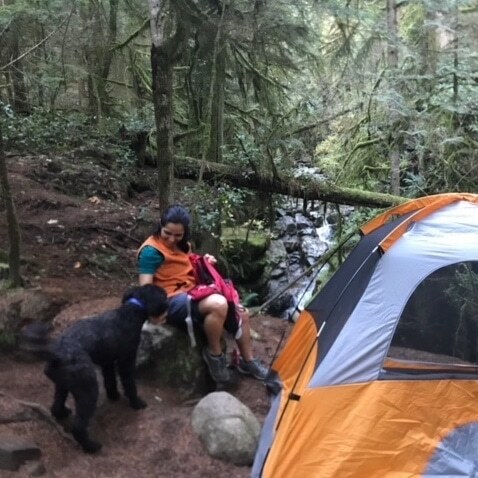 “When I have a rough day, taking a deep breath of fresh air in nature’s peacefulness is the best.” When Nora isn’t busy hiking, camping, or trying out the latest camping gear, she loves a good book to read. 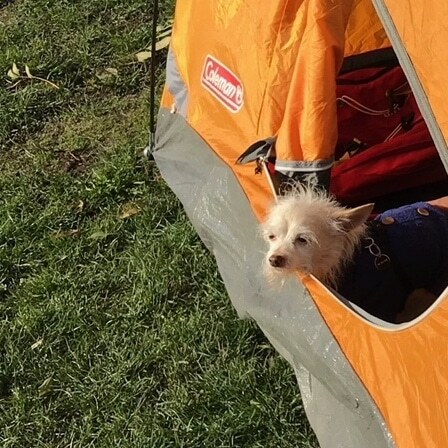 And, Hugo….who also likes to camp.